I have so much to be thankful for! I am blessed beyond measure and yet the trials my family are going through seem overwhelming. I know that many of you, my friends and family, are feeling concerned about our well being, our comfort and our overall feelings of happiness and self worth. I thank you for your concern and I want to make sure our intentions and our state is well clear that we are exactly where we want to be, where we choose to be, and more importantly, where our Father in Heaven has beckoned us to go. For those who may be reading this who are unfamiliar with my spiritual convictions, I am a member of The Church of Jesus Christ of Latter Day Saints (Mormons) and the story I will refer to is found in The Book of Mormon Another Testament of Jesus Christ. Lehi was the first prophet in the Book of Mormon and the history is written by his son, Nephi, a faithful man who became the prophet after his father. Lehi, was a contemporary to the prophet Jeremiah in the Old Testament. 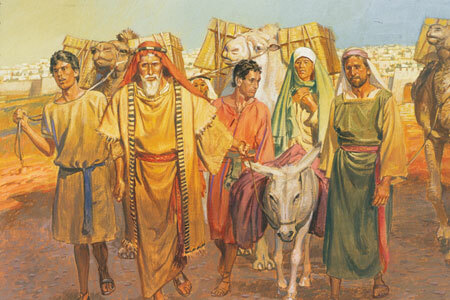 In the year 600 BC, Lehi was commanded by God to take his family away from Jerusalem into the wilderness and they would be led to a promised land. Based on clues from the history, we learn that Lehi’s family must have lived a very comfortable life in Jerusalem. The persecution to the believers, including Lehi and his family, became increasingly threatening, especially to those preaching repentance and the eminent destruction of Jerusalem. As Lehi and his family journeyed secretly into the wilderness, they encountered a lot of hardships that caused some of the less faithful members of the company to murmur about their difficulties. Instead of living in a comfortable home, they dwelt in a tent. Instead of eating a variety of warm meals, they ate raw meat. Instead of staying put, they walked and walked and walked through some very rugged terrain for 8 years! After 8 years they arrived at the borders of the sea and lived in a place “flowing with milk and honey” called Bountiful. To some in the party, this seemed to be the promised land but it was not it. Nephi was commanded to build a ship which would take them across the sea to the real Promised Land in the modern day Americas. So why do I relate this story? Nearly 8 years ago, my wife and I were prompted to leave my comfortable job with Marriott and find our promised land. My daughter suffered from a social anxiety disorder that kept her from speaking in school and many other social environments through the 3rd grade. We decided to bring her to the only teacher in the world that we knew she would talk to, her grandmother, a 3rd grade teacher in Mapleton, UT. A few months prior to this decision, my infant son nearly died as a result of a reflux episode. In addition, we were leaving these comforts on the verge of our recent great recession. I was earning a great salary and had great hopes for my career. Coming to Utah would mean the end of that for now. Since then, I have progressively earned less money and am now finally creeping up again in salary. We recently relocated from a wonderful home in Springville, an awesome neighborhood and wonderful friends, to move to the desert of Utah, the home of my youth. It appears to some that we were forced to move due to financial distress. But that is not why. GOD TOLD US TO MOVE HERE! My wife Erin is a city girl with many special needs. Rural Utah can not meet those needs! She has made that clear over the years so moving here was far from my radar. 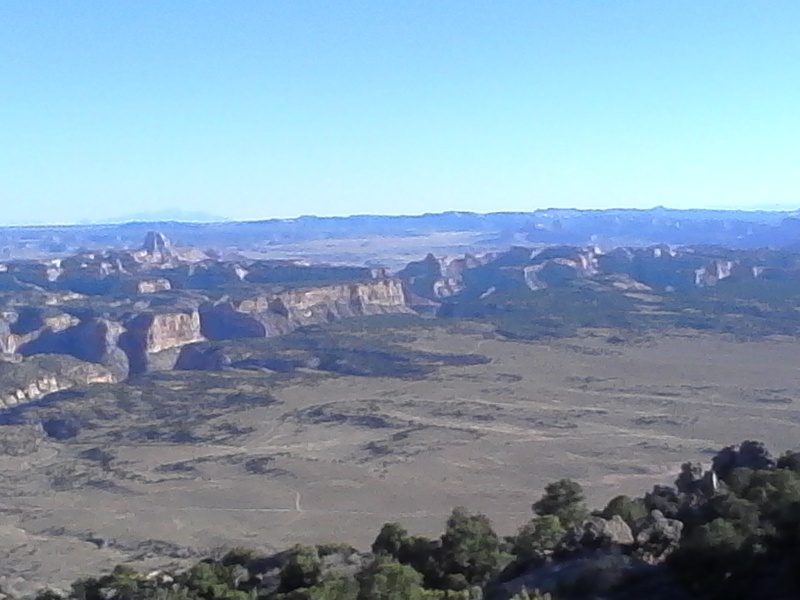 She had an experience 18 years ago (before she knew me) at the Castle Valley Pageant as she looked over this valley. She had the distinct impression, “I could live here if I had to.” If I had to has been the part she remembered for years. A special experience in the temple on my parent’s 50th wedding anniversary confirmed that feeling and she knew it was time move! So now we are here. For 3 months, Erin and I and our 3 kids lived in a 5th wheel while we were working on fixing up my grandparent’s home, an undertaking which has caused many to question our sanity. We are in the process of thinning out our possessions in order to eventually build and live in a tiny home which has proven to be a challenge. These plans are exciting prospects to us and yet, plans change from time to time, as you will see. Erin, my wife is a trooper. She has found beauty in this area that usually takes a transplant several years to find. She is loving it here and is thriving in her new job as the Junior High Choir Pianist. She feels valued and appreciated by those she works for and has already made a huge difference in the lives of the kids, the choir director and the school. She lives with Fibromyalgia, a chronic illness that causes chronic pain, chronic fatigue, muscle and joint stiffness and pain. She is prone to allergies and is currently suffering from severe asthma and yet, her resolve to fulfill her calling to come to Emery County is even stronger than before. She knows she is here to make a difference and by dang, she’s gonna do it. Many kind and caring souls have offered suggestions of how to improve our situation and we appreciate the concern for us. We have witnessed that when on the Lord’s errand, the lilies of the field are clothed and the sparrow is fed. We have put our trust in God that the fast approaching winter would not be a trial we would have to face. We knew somehow, we would be warm and comfortable. As Erin’s asthma has worsened, I began to wonder if finding a place that is not “in the dirt” would help. The following Sunday at church, a kind brother came to me and offered us a place to live in the single wide trailer he has on his property. He said we could stay there for the cost of utilities and a few extra farm hands. The reason we haven’t looked for a rental is because we wanted to set aside as much housing funds to repair the house, and paying rent would nullify all our saving efforts. This scenario, will still allow us to save our investment money and live in a more comfortable place while we adapt our lives to tiny living. In the process, we have been released from fixing up my grandparent’s home and can now dedicate the resources to our tiny home business. I am writing this blog post because I want all who know and love us to understand that we are not miserable! We are not sad! If we wanted to, we could still be living in our spacious home in Springville until we sell it. 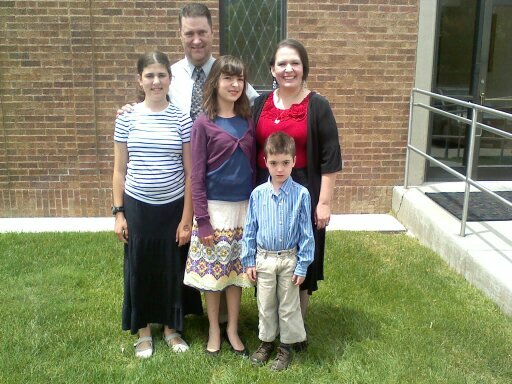 We have chosen to obey and leave the “comforts of Jerusalem and live in a tent!” We are happy! My relationship with my wife is better than it has been in months. My kids love their new schools. We are happy to be here and we love and appreciate all those supportive souls who have welcomed us home. Our quarters are cramped and a bit disheveled and we are far from being past our financial struggles. My wife is earning a consistent supplement to our finances, we are getting some rent from friends in Springville who needed our space more than we did and we have other successful ventures on the horizon that we know will be fruitful. I am asking you to please join us in our journey to the promised land rather than beckoning for us to return to Jerusalem! If only people could see the callouses on our hands and feet, the refined muscles and our survival skills we have obtained in our journey they would be envious of our blessings. It is as if we have just arrived in the land Bountiful and soon we will build our ship and embark to our promised land. Our seas will not take us on a geographic journey but will bring us closer to the land of our inheritance which means our long term goal of running a successful business, building tiny homes on our own land, and serving and growing this community. A land which to us IS already flowing with milk and honey!